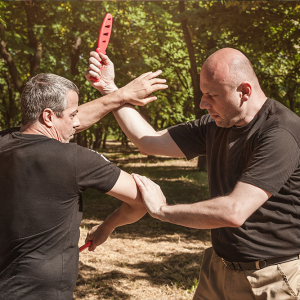 PERSONAL SECURITY TRAINING – Protection Management, LLC. Do you know what to do if someone approaches you in a parking lot? Do you know how to avoid becoming a victim? There are simple things that you can do to reduce your risks of being a victim; do you know what they are? There are many risks that we all face every day regardless of where we live and work. The fact of the matter is that you are responsible for your own safety and security to a great extent, and you need to know how to protect yourself wherever you are. You have probably heard about the “Knock-Out” game that has been in the news over the last year. This is where groups of young men walk around and without warning punch unsuspecting victims and knock them out. They do not rob them; they only strike them with their fist as a game. Crimes against people and property are still occurring daily in every state, and yet many people become victims because they do not know what crime prevention tactics to use or put in their homes. When you are at home, in the car, shopping, at work, or just walking to and from your car you need to know what to look for, and how to avoid becoming a victim. There are some very basic things that everyone can do to reduce their risks and vulnerabilities, and getting trained in those steps is your first step to becoming safer. Our security expert Mr. John White, CPP, CHPA, has presented over 275 Personal Safety & Security lectures and security training sessions for staff and community members. Mr. White will customize the training to your area, crime stats, and business model, so that your presentation will be relevant to your geographic location and attendees and will provide tailor-made training sessions. To find out how we can help your organization or civic group, and learn more practicable security tips, contact us today.